This section of our website is dedicated to the introduction of our newest performance products. As our product lines continue to expand, we will make general announcements of these new products/applications in addition to highlighting other racing components which we feel may warrant your special attention. Please visit this page frequently to view the latest updates to our racing and performance product offerings. High-Performance Flywheel/Sprung-Hub Clutch Kits - BMW E36 M3, Z3 & Z4 M Coupe/Roadsters, E46 M3's, E46 3-Series and Z4's w/ 6-speed ZF transmission. 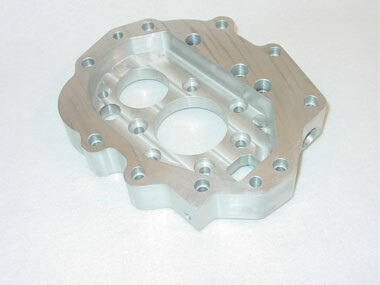 Often, customer's ask about a clutch package to compliment our lightweight aluminum flywheel. 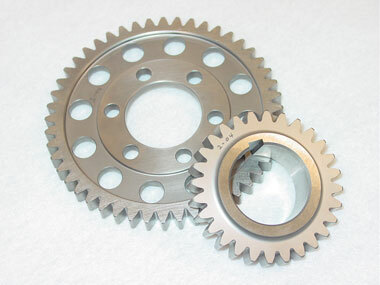 Many also inquire about the use of a sprung-hub clutch disc with our flywheels to dampen engine harmonics. JB Racing is pleased to announce that we now offer a High-Performance flywheel/custom sprung-hub clutch kit for BMW E36 M3, Z3 and Z4 M Coupe/Roadsters as well as other models. Many rigid-hub performance clutch kits are also now available. JB Racing recently became an authorized Dealer for Joe Gibbs Racing Oil products. Just like the research and development team at Joe Gibbs Racing, we discovered that many commercially available oils now are lacking adequate anti-wear additive packages which are necessary for protecting the high-pressure wear surfaces of our high horsepower racing engines. Beginning in the late 1990's, JGR started developing these high quality synthetic and petroleum based oils to meet the demands of their Nextel Cup and Busch Series engines. These same high-quality, race-proven oils and gear lubricants are now being offered to the general racing public to help protect your valuable racing engine from premature wear due to insufficient anti-wear additives in your present oils.